Vibrant, richly detailed performances, sophisticated interpretive skills and an evocative command of various composers and styles are a few of the hallmarks of esteemed American conductor Martin Pearlman. An international conductor known for his crisp communicative skills, Pearlman is also a highly regarded scholar, composer and an acclaimed four-time Grammy ­nominated recording artist. Founder and music director of the Boston Baroque, Mr. Pearlman enjoys an active guest conducting career on both the opera and orchestral stages. 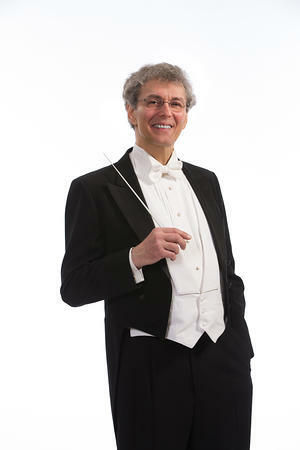 Among the orchestras and opera companies that Mr. Pearlman has appeared with are Minnesota Orchestra, Omaha Symphony, Alabama Symphony, San Antonio Symphony, Springfield Symphony (Massachusetts), New World Symphony, National Arts Center Orchestra of Ottawa, The Washington Opera, Utah Opera, Opera Columbus, and Boston Lyric Opera, to name a few. Martin Pearlman founded the first permanent Baroque orchestra in North America with Boston Baroque in 1973-74. Since then, he has led the Boston, Massachusetts-based ensemble in numerous American and world period-instrument premieres of operas, choral, and instrumental works, including Mozart operas and major works of Bach, Beethoven, Handel, Monteverdi and Rameau. In addition to directing Boston Baroque in its annual subscription series, he has taken the ensemble on tour nationally and in Europe, and has made over 22 recordings for Telarc International, three of which have been Grammy nominated, cementing the organization’s reputation as America’s premiere period-instrument orchestra. Mr. Pearlman and the Boston Baroque, as of 2012, became the first American orchestra to record with the UK label Linn Records. His most recent recording with Boston Baroque for Linn Records is his own performing version of Monteverdi’s opera Il ritorno d’Ulisse, released in May 2015. Pearlman is the only conductor from the period-instrument field to have performed live on the internationally televised Grammy Awards show. Although conducting is his main focus, Martin Pearlman is also a successful composer, an acclaimed harpsichordist and respected scholar. Recent compositions include: his 3-act Finnegans Wake: an Operoar on texts by James Joyce; The Creation According to Orpheus for piano, harp and percussion soloists with string orchestra; Beethoven Fantasy on WoO77 for solo piano, and music for three Samuel Beckett plays (Words and Music, Cascando, and….but the clouds…), commissioned by the 92nd Street Y in New York for the Beckett centennial in 2006 and produced there and at Harvard University in Cambridge, Massachusetts. As a harpsichordist, Pearlman has won Boston’s Erwin Bodky Competition, and was a prizewinner at the Festival of Flanders competition in Bruges, Belgium. Mr. Pearlman has also edited a new critical edition of Armand-Louis Couperin’s complete keyboard works, prepared new performing versions of Monteverdi's operas Il ritorno d'Ulisse and L'incoronazione di Poppea, and created a new orchestration and edition of Cimarosa's Il maestro di cappella. Born in Chicago, Illinois, Martin Pearlman received training in composition, violin, piano and theory. As an undergraduate at Cornell University, he majored in composition and studied with Karel Husa and Robert Palmer. After Cornell, Pearlman studied harpsichord on a Fulbright Grant to Amsterdam with renowned harpsichordist and early music pioneer Gustav Leonhardt, who was one of his major musical influences. Pearlman received a Master’s in composition from Yale University, where he studied with Yehudi Wyner, worked with noted harpsichordist Ralph Kirkpatrick and worked in the electronic music studio.